Are you interested in selling your motorcycle? If so, there are some things you should know before you just post an advertisement. There are some tips and tricks that will make selling your bike much less of a hassle. Most important, you need to know your bike. Understand the features and benefits, and be able to explain them to your potential buyer. Being able to answer any question they may have will benefit you greatly. If you don’t know they may not be able to give you the best price and some motorcycle buyers might even try to take advantage of you. Have everything you need ready for your potential buyer. Prepare yourself with all documentation you have. This includes title, registration, maintenance receipts, or any other paperwork you may have. Don’t be greedy, but get a deposit. A qualified motorcycle buyer may not have the money on hand when they come to look at your bike. However, they should be able to leave at least a small deposit while they get their money together. If they need a day or two and the offer is solid then give them that time to get the money together as long as you get a deposit. You may lose out selling your vehicle without some assurance of their intent to buy. Don’t let just anybody test drive your bike. There are many people out there who unfortunately just want to ride a motorcycle. Letting anyone test drive your bike can put them and your bike in danger. Make sure the rider is serious about purchasing your bike. Don’t let them test drive unless money is in your hand or you are extremely confident in their riding ability. If you make an ad for your bike, do not hide anything. This includes accidents, maintenance, condition, and history. Ensure you provide current photos, even those with the scratches and dents. Nobody wants to look at beautiful photos online only to get to the bike and see the opposite side is covered in scratches. Be honest! 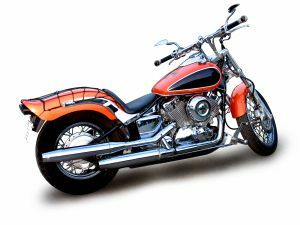 If you are looking for a motorcycle buyer in your area, take a look at what we buy and contact Sell Us Your Bike today. Fill out our quote form and we will give you a fast and fair offer. And, in many cases a deposit prior to purchasing!